"I'm looking forward (to it)," Ovechkin said in June after winning the Cup. "I can't wait. I never been there. I want to take pictures around it. It will be fun." A White House spokesman confirmed the visit to The Associated Press on Tuesday. 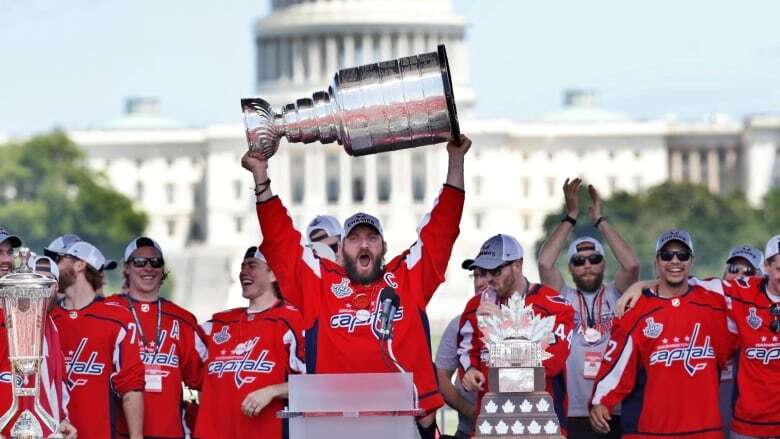 The Capitals are Washington's first champions in the four major North American sports leagues since the NFL's Redskins in 1992, also the last hometown pro team to visit the White House. Chris Kuc of the Athletic reported forward Brett Connolly said he would decline the invitation. Teammate DevanteSmith-Pelly, who is currently in the minors, told Postmedia in Canada during the final that he wouldn't go to the White House. But the Capitals are nevertheless doing what the 2017 champion Pittsburgh Penguins did and visiting Trump. Back-to-back Cup-winning coach Mike Sullivan said at the White House in October 2017 that the team's visit was not political and the Penguins were "simply honouring our championship and the accomplishments of this group of players over this season or the last two seasons." "I would like to go there," center Nicklas Backstrom said in June. "I think the building is pretty cool and everything. I'm not going to get into this discussion that a lot of the other athletes have been talking about. I think the building is pretty cool, and I think it's an honor if the president invites you."